Photographer Gerd Ludwig has always had a fascination with cars, something that he attributes to the German-engineered cars he grew up around. Now based in Los Angeles, Ludwig has developed an ongoing romance with the classic and modern cars of Hollywood. 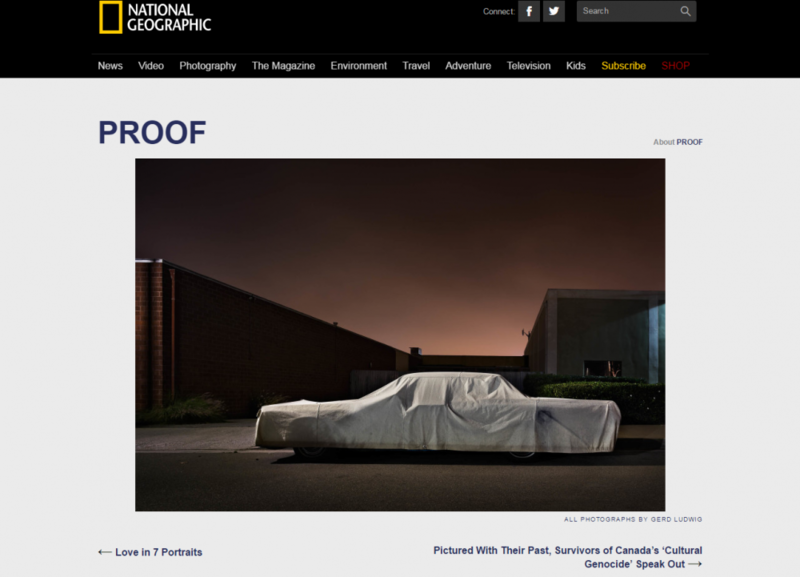 At night, he ventures into the city to find out where these cars “sleep,” whether covered, uncovered, or hiding beside a garage. With an exhibition and a new book on the way, he answered questions about the inspiration behind these curious portraits of cars. JANNA DOTSCHKAL: What happened after you started wondering where the cars went to rest? GERD LUDWIG: Driving in L.A. in the dark, I began to consciously observe where these iconic Los Angeles inhabitants reside at night. Soon I discovered their marked differences. Nestled in the low-lying fog of distinctly Los Angeles neighborhoods, they take on personalities of their own. They rest against backgrounds of varying ambient light on the winding streets of the Hollywood Hills or the flat, gridded suburbs of the Valley. I especially fell in love with the loners, those who command their own space and enjoy showing off their presence. JANNA: What caused you to see them as “sleeping”?